Do you find that there is a culture of reading where you live? If not, tell us a bit how you came to be one! Yes, there is a strong culture of reading from newspapers to fiction. Despite what’s happening to publishing around the world, newspapers remain the first point of contact for people to get information from regular news to job opportunities. So people continue to read newspapers and they also enjoy all other fiction. What kinds of books do you enjoy reading? My favorite genre is fantasy but I also enjoy reading science fiction, thrillers and suspense, and memoirs. Have you always been a reader? Yes, I’ve enjoyed books from a very young age. I still have the first library card I ever owned. It was the only place I could go for more fantasy books as our school library was limited. Do you also read books published in your native language/published locally to you? If so, tell us a bit about what kinds of books are published in your country! I have recently purchased a copy of Harry Potter in Arabic so that I could read my favorite series in a different language. There are many genres in Arabic fiction but the most popular seem to be contemporary fiction. There is a healthy culture of reading with many authors having strong followings. Are there libraries where you live? If so, what kinds of books can you find there? Are you able to get the books that you want? Yes, there are many libraries. Many publications are available in the library. In recent years, I have gone to the library less so I’m not sure if I’m still able to get the books I want. I used to be able to. How prevalent are English published books where you live in bookstores? (For example, books printed by HarperCollins.) Most of the bookstores have English sections. Popular book chains include WH Smith, That El Salasel, Jarir Bookstore, and others. It’s easy to find new releases, however as a fantasy readers I always find their fantasy sections limited. Do you use NetGalley or Edelweiss to request electronic galleys for review? If so, what kind of success rate would you estimate for you personally? No. Do you experience hurdles or barriers to access for the kinds of books that you read? Please explain if so.The barrier I encounter is not finding the type of books I want to read, especially in fantasy! Fantasy is a narrow genre and doesn’t appeal to as many people to begin with. As such, buyers don’t bring in the latest in fantasy and selection is limited in bookstores. Every bookstore can order in books but that becomes pricey. If you could make one change to the publishing landscape, what would you do? I would include more diversity. Help other international bloggers out… What resources do you use to obtain the books that you want to read? I primarily use Amazon to buy books and lend them to my friends. The Kindle changed my life. At a press of a button I was suddenly able to get the book I wanted immediately at a cheap price. I still go to the bookstores and buy books to support them but I do that for the non-fantasy books now. 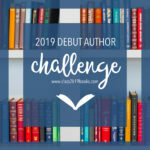 I have also used BookFunnel and Instafreebie to find free books and discover new authors. Do you have any other experiences as a reader around the world that you would like to share? My love for reading started as a child. I think it’s important for children to be introduced to reading groups as soon as possible so that they develop a habit of reading. What stands out to me is that I was encouraged to keep experimenting until I found a genre I enjoyed reading. The more options you have the better the chances people will find something they love. We need a healthy selection of books so that everyone can find the right book for them. Wow, this is such a fantastic series! Lovely blog, Kaleena – I’m so glad I stummped across it. Another great episode! Having resided in one of the neighbouring middle-eastern country, I can relate to the struggles Davyn faces, however I also think that Davyn has better access to books than I ever had! The only leading bookstore is Jarir and even their book collection isn’t up to date. Thanks so much for stopping by! Bummer about not having good access to books in person, though. Do you have to do most of your shopping online? Yes, mostly! For now, I am in India and while there is more access to books, new titles still have to be bought online. They are not available in my city, tho I am sure they must be available in the bigger metro cities. That makes sense, thanks for sharing some of your experiences! You have friends from the most interesting places in the world, Kal. I am surprised to see Amazon working at Kuwait (it does not at the UAE, where I live). Are you not able to buy from Amazon at all in the UAE? Nope, Amazon doesn’t deliver anything here. But there is a new Amazon subsidiary company called Souq (meaning market) up here. But again English books are costlier. Oh wow that is such a bummer.